Here’s an easy prediction effect. All you need is a picture of a clock or you can use the actual face of an analog clock or watch to perform the trick. A spectator freely names a number and begins to spell the number around the face of a clock. This is repeated twice with the number that the spectator lands on. After three rounds, the spectator lands on a number. You prove that you knew ahead of time which number he would land on. This is a mentalism effect. This self-working trick is very easy to learn and perform and requires no gimmicks or sleight of hand moves. This effect is based on a quirk with the numbers on a clock face. Just follow the instructions and remember the sequence. Ahead of time, write the number “one” on a slip of paper. Fold the paper so the spectator cannot see the number within. Ask the spectator to select a number between one and twelve. While the spectator can select any number, as an example, we’ll say that the spectator selected the number “nine.” Have the spectator tell you the number. In this prediction effect, you made it appear that you have predicted the future. The secret is based on a quirk with the spelling of the numbers and the arrangement of the numbers on the clock face. 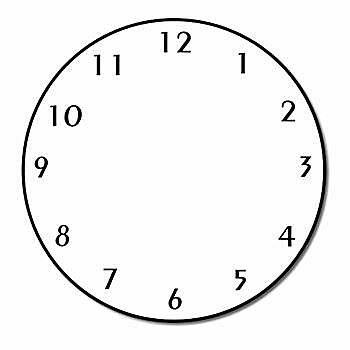 No matter which number a spectator selects on the clock face, and as long as he or she starts at 12:00, will always end up on one. Go ahead and try this with different numbers to get a feel for how it works. Just as long as you follow the instructions, you always end up at 1:00. While we're calling this a "prediction" effect, magicians refer to this as a force. No matter what parameter a spectator selects, they will always end up with the same outcome, 1:00. It appears that the spectator has a free choice but actually doesn't. Prediction effects are a staple of mentalism. If you like this kind of easy magic trick then you'll enjoy the clock interactive magic trick as well.